Packaged in handsome, affordable trade editions, Clydesdale Classics is a new series of essential literary works. It features literary phenomena with influence and themes so great that, after their publication, they changed literature forever. From the musings of literary geniuses like Mark Twain in The Adventures of Huckleberry Finn to the striking personal narrative of Harriet Jacobs in Incidents in the Life of a Slave Girl, this new series is a comprehensive collection of our history through the words of the exceptional few. 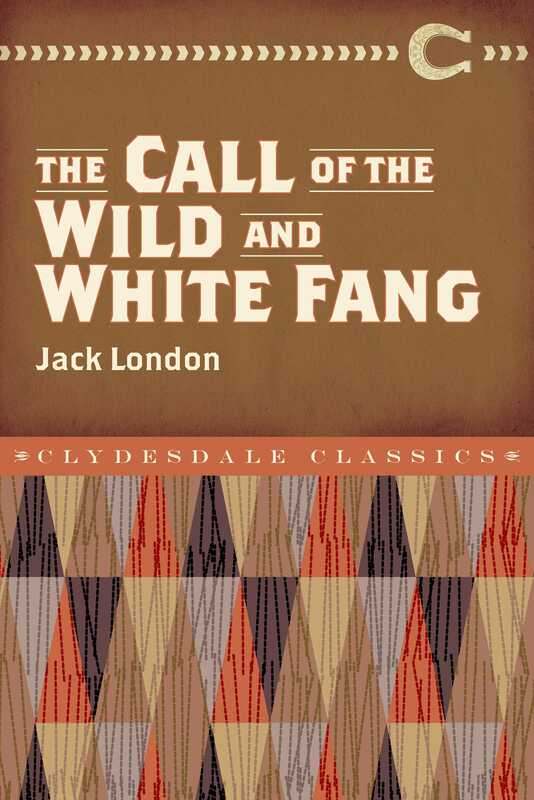 Jack London’s The Call of the Wild and White Fang are both adventure stories featuring animal protagonistsa sled dog named Buck and the appropriately named White Fang. Partially told from the perspective of the dogs, these stories gave London the opportunity to explore and predict how animals perceive our world. Buck was Judge Miller’s pet and lived happily in Santa Clara Valley, California. Until one day, when he’s kidnapped by the gardener’s assistant and sold to traders. Eventually he ends up in the Klondike region of Canada, where he is trained to become a sled dog. After he witnesses a fellow sled dog killed by a pack of huskies, Buck starts to shed his domesticated habits and embrace his primordial instincts in order to survive. White Fang, in a similar vein, tells the tale of another caninea young gray wolf cub who is the strongest of his litter. As he grows, White Fang begins to understand the nature of the wildernessthat it is survival of the fittest: The aim of life was meat. Life itself was meat. Life lived on life. There were the eaters and the eaten. The law was: EAT OR BE EATEN.” After wandering into an Indian camp, losing his mother, being severely beaten, and being forced into dog-fighting, his life is forever changed as he struggles to find his place in the animal kingdom. In these classic novels, London explores the remarkable relationship between man and beast.